We need worship. I am convinced that worship is a gift. God does not rely on our worship to prop up his identity or stroke his ego. His glory is all-sufficient (which is why God is so worthy of our praise)! In moments of rejoicing or times of anxiety, worship is Gods provisional avenue for us, his kids, to have joy and confidence in these days. The invitation to tell-God-how-good-He-is delivers us from self-centered thinking to freedom and joy. Worship is the corrective eye-glass that brings His image into focus when our eyes are dimmed and distracted by world-waves: despair, self-entitlement, fear, pride, consumerism, pain, bitterness. My family and church are entering a season of great potential for these world-waves to cloud our vision. Knowing these next months will tempt me to lose heart, I must proceed with holy intentionality. 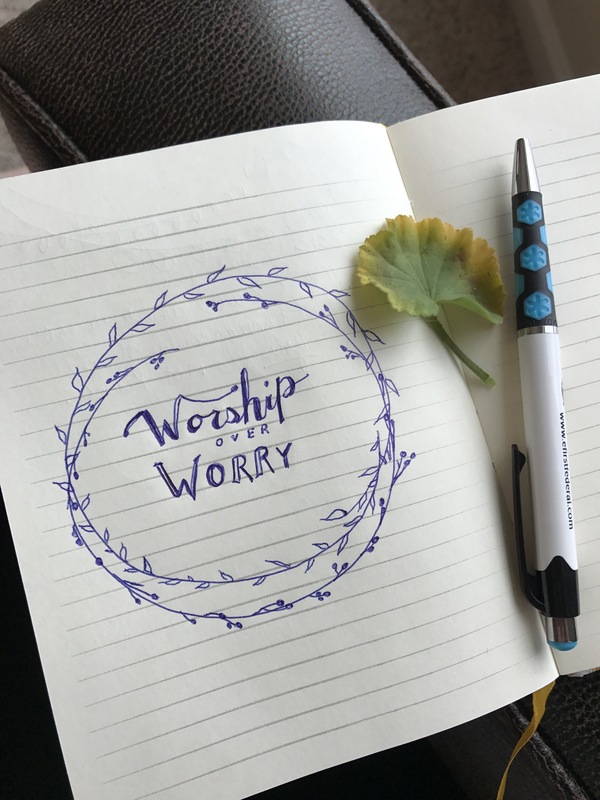 I have decided to choose worship over worry, to look at the healer instead of the wound, and to bask in his good light that leads rather than wallow in the valley of shadows. Perhaps you’d like to join me? 1. Make It Personal: Sometimes as we worship, we need to re-state a verse, a hymn, a song, or other truth that exposes Gods bigness, faithfulness, or goodness in a relatable way to our own souls. When we allow truth to impact with such intimacy, we respond with worship. 2. 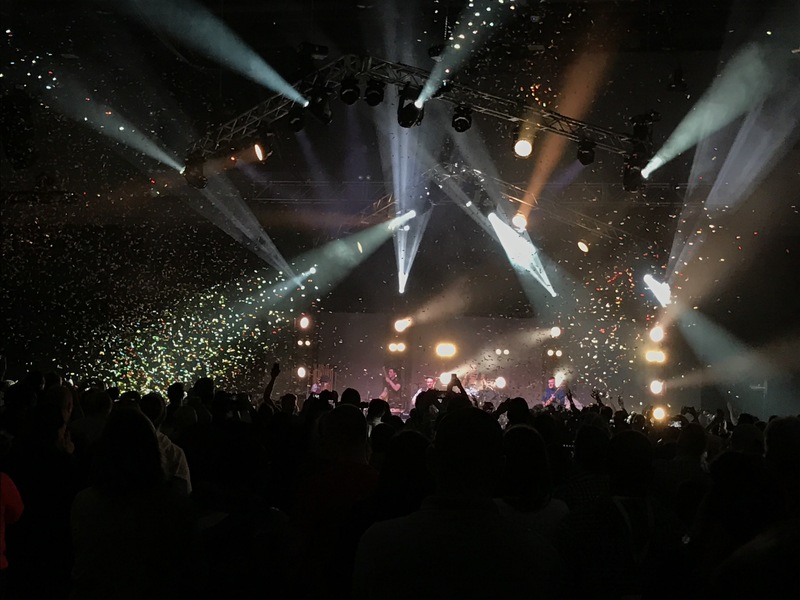 Go With The Crowd: Recently, Rend Collective delivered a foot stomping worship service that unleashed my inner wild-child [of God]. However, an unthinkable kill-joy snuck in during the concert: a couple who couldn’t be pulled away from their smartphones. They sat directly in front of us, completely disengaged from the atmosphere of joy and adoration. Every 45 seconds their screens changed from Facebook, to candy crush, to email. 4. Clean House: Before we can lavish praise and odes of trust to our God, sometimes we need to first convey our doubt. In Christ, we are free, invited even, to express all the hurt, anger, disappointment, anxiety, exhaustion, weariness, confusion, and bitterness. God has proven he is big enough to handle our negativity. Hiding, swallowing, or denying the junky feelings in our souls not only hinders our worship, it inhibits our intimacy with God. Do you practice focused worship? Share your stories ’round the campfire by commenting below.